Over the past five years, Saanjeet Persad has held several pivotal operations roles that have provided him with deep insight into GCG’s legal claims administration strategy and best practices. Starting as a senior project manager in GCG’s Jacksonville, Florida, office in 2010, he managed consumer and wage and hour class action cases for the New York office. From there, he relocated to GCG’s Sarasota, Florida, office to manage the call-center staff of approximately 300-500 temporary agents during the Deepwater Horizon Economic Settlement. Over the past five years, Saanjeet Persad has held several pivotal operations roles that have provided him with deep insight into GCG’s legal claims administration strategy and best practices. Starting as a senior project manager in GCG’s Jacksonville, Florida, office in 2010, he managed consumer and wage and hour class action cases for the New York office. From there, he relocated to GCG’s Sarasota, Florida, office to manage the call-center staff of approximately 300-500 temporary agents during the Deepwater Horizon Economic Settlement. He is now based in GCG’s 60,000 square foot, Mail, Call and Processing Center in Dublin, Ohio, where he is responsible for recruiting, training and managing Contact Center teams for the hundreds of administration projects handled in that office at any given time, which included the team of approximately 300-350 agents for the Cobell v. Salazar – Indian Trust Settlement. He also maintains responsibility for GCG’s back up Contact Center in Phoenix, Arizona. 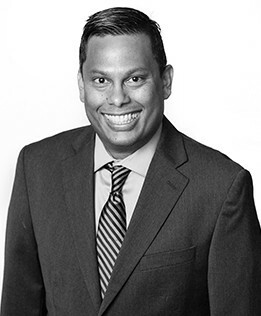 Prior to joining GCG, Mr. Persad worked for a prominent claims administrator in which he engaged in the daily management of high-volume class action settlement claims administration projects involving wage and hour, consumer and securities cases. The size of the settlements ranged from 1,000 class members to more than 1,000,000 class members. In addition, payments ranging from $20 to $50,000 with settlements valued at more than $1 billion.